A guest post or blog is nothing but an article of yours on another site. There are two reasons why guest posts/blogs can be effective – you can include backlinks to your own web pages or they could simply help ramp up your reputation. With the latter, you become recognized as an expert. This leads to people searching for more of your content online – and they inevitably come to your web page/site. Either way, there is more traffic to your site. Take a look at your competitor pages. 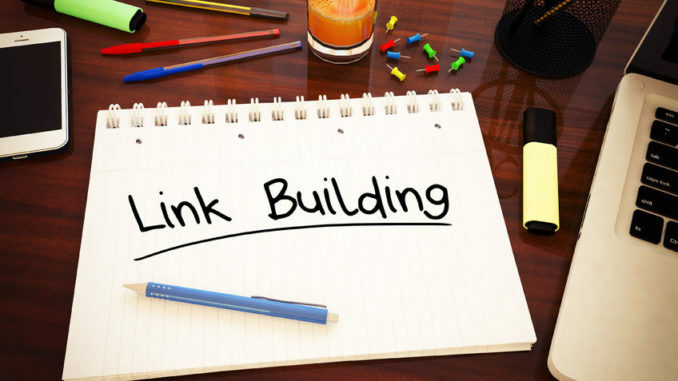 Find out from which sites/pages they get backlinks from. Make a list. Now see which ones allow for guest postings. But that is not all. You also need to check for the Domain Authority level of each site individually. If a site has a lesser Domain Authority level than your own, you are better off not contributing to that site at all. Domain Authority is a Moz.com tool to find out how credible or trustworthy a site is. Google’s PageRank (named after founder Larry Page) used to be the tool of choice for this purpose, but Google has stopped updating PageRank data. Domain Authority is the better bet now. You could write on a topic related to the page you want to link out to. Writing on the same topic is not a good idea because there is no value addition. Somebody who clicks on the outbound link in your guest posting sees that there is nothing new, and he/she leaves immediately. Theoretically, you could write on the related topic in your own blog page, but there wouldn’t be much readership for it or the page you link out to. Don’t keep the guest post thin on content, creating the effect of “For more information, take a look at <link>” after you have given the reader a taste of what to expect. This immediately tells the reader that the guest post is nothing but an advertisement for your content. And you should know by now how readers respond to advertisements. Keep it natural. Only if you genuinely seek to add value to the body of knowledge in some way will your guest post reflect the same. This makes the backlink an ‘add-on’, and if the guest post is interesting enough, readers will definitely click on it. One person who tried the guest blogging approach saw a 27% increase in the number of visits to his page. Readers also stayed on longer, by as much as 107%. The sites your competitors post their guest blogs are not the only ones you can use. To find other reputable sites, use search keywords like guest post opportunities, submit a guest post, guest post, contributor guidelines, become a contributor, want to write for, write for us, write for, accepting guest posts, add blog post, become an author, submit an article, send your article, bloggers wanted, and guest post guidelines. To find out sites that specialize in your field, try using the template intitle:write for us + keyword. For instance, if you are an expert on management, you could enter intitle:write for us + management in the Google search bar to find management websites that allow guest submissions. The write for us could be swapped out with any of the key terms mentioned above, and there are also management-related terms like entrepreneurship or strategy that you could use. Another method is using search terms like ‘top 100 marketing blogs’, ‘most popular marketing blogs’, or ‘top marketing blogs’ when trying to find marketing-specific sites that allow guest posts. Of course, you could swap out ‘marketing’ with ‘automotive’, ‘auto’, ‘automobile’, ‘car’, ‘truck’, ‘racing’ or any related terms from areas of your expertise. Use as many related terms as possible.